The EPIA N and EPIA NL are the first motherboards from VIA Technologies to be released in their 12cm x 12cm 'Nano-ITX' form factor. We managed to track down a 1GHz EPIA N10000 model ahead of the official release date and put it through its paces. 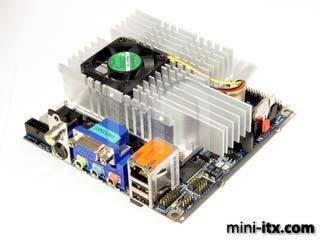 VIA's Nano-ITX has had a long and difficult birth. Originally announced in 2003, it has undergone several board redesigns since the first prototypes shown. In the meantime, Apple have successfully shrunk their boards to similar sizes, followed by AOpen, and (we expect) Shuttle sometime this year. VIA cannot claim to have invented the small form factor, but have certainly popularised it with their Mini-ITX motherboards. In an increasingly crowded marketplace, can they do the same for the ultra small form factor with the EPIA N?